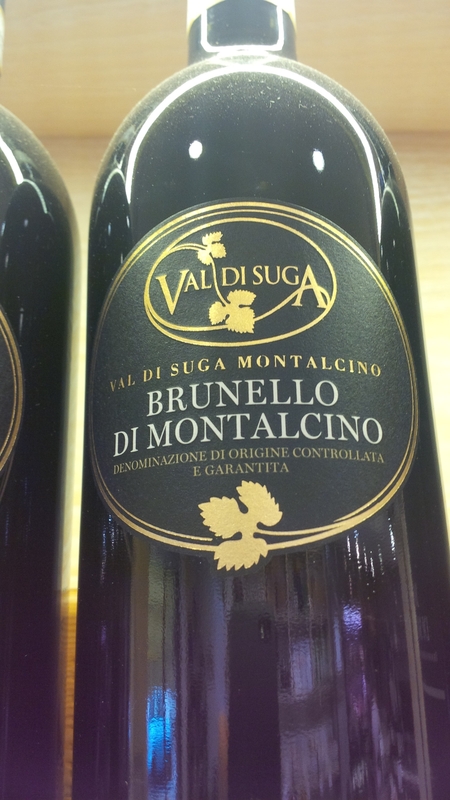 Sangiovese Grosso 100% from the Val di Suga vineyards in Montalcino, in the three historic areas. It is a blend that brings together the three main locations with different geographical and climatic conditions. This pays off in the composition of these three wines, with a special equilibrium of each area’s characteristics—a unique balance of freshness and structure, fullness and elegance. It ferments in steel where it macerates for approximately 20 days at a controlled temperature of 30°C; it then finishes its fermentation in 50-Hl Slavonian oak casks. It matures for 36 months in large oak casks and 300-L barrels of French oak before at least 12 months of bottle aging. This attractive Brunello presents a wild, brambly side with aromas of wild mushroom, forest floor, small berry and crème de cassis. It boasts a beautiful, deep color and deep concentration with endnotes of spice, leather and dried tobacco leaf. The mouthfeel is solid, well defined and superbly structured.